Create a personal haven by putting together an inviting atmosphere for yourself. 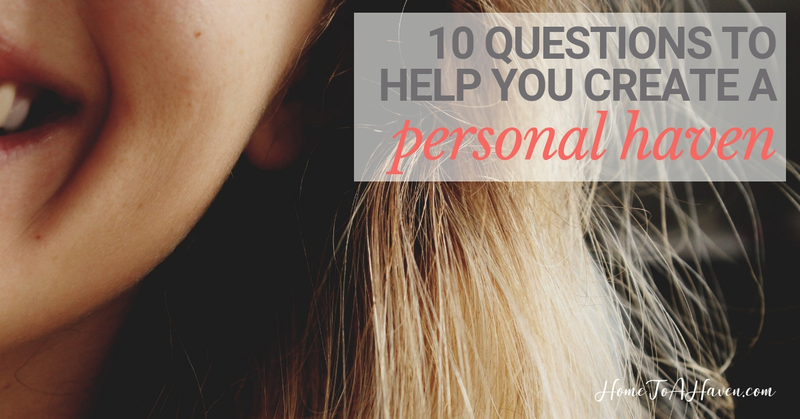 Start by asking yourself these 10 questions! Havens are wonderful places. They’re a retreat from the demands of the world. When life pushes in – when you have a rough day at work, when you hear bad news from the doctor, when you’re just so stressed out – knowing you have a place where you’re comfortable to unwind is invaluable. No matter where I’ve lived, I’ve managed to create a haven. But it hasn’t always been easy. In fact, some of my teensy tiny apartments were so affordable for my teensy tiny housing budget that on moving day, they looked like they could never become a home, let alone a haven. But I’ve used budget-friendly tips over and over to make some pretty huge transformations. And I’d love to share one of my tricks that makes the biggest difference. When you know you need to create a haven – and when you know that you want to – make sure your haven is welcoming to you. Other people will have other tastes and preferences. 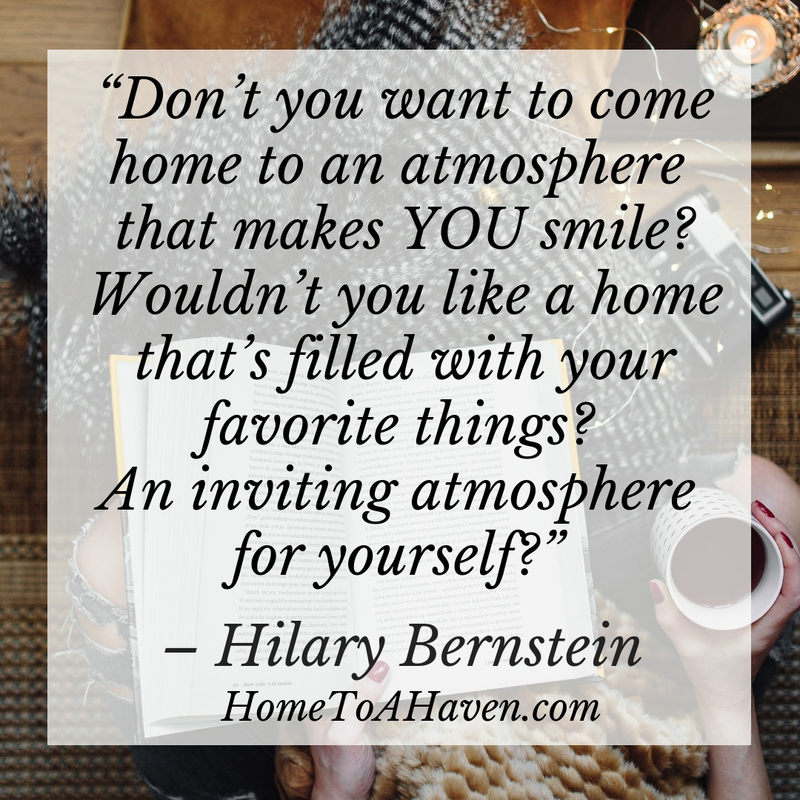 But don’t you want to come home to an atmosphere that makes YOU smile? Wouldn’t you like a home that’s filled with your favorite things? An inviting atmosphere for yourself? As you focus on haven creation, think about what you prefer. What are some of your favorite belongings? What photos remind you of favorite memories? What’s some of your favorite music? What scents do you associate with home? As you answer these questions, pay attention to what you discover. To create a haven that nurtures you, add these sights, smells, sounds, tastes and touches to your home. Even if you don’t have the freedom to tailor your entire home to your preferences, you definitely can make sure certain areas are just for you. You’ll just need to be creative in the ways that you add your favorite touches. Listen to your favorite music when you’re alone. Or display your favorite photographs on your nightstand, so you can see them when you wake up and go to bed each day. 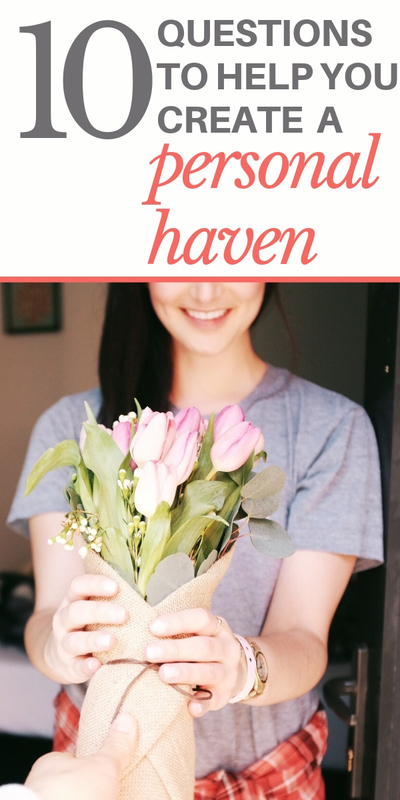 Using your answers to create a haven … for YOU! 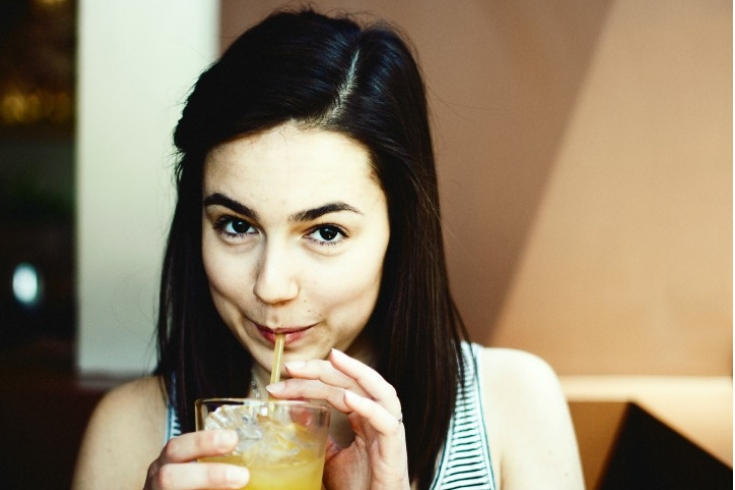 Once you’ve figured out what you appreciate – and what elements could be used in creating a haven for yourself – and once you’ve also thought about the preferences of other people you live with, add your favorite things. Surround yourself by favorite sights, sounds, smells, tastes and touches. Your entire home may not be filled with what you love, but when you intentionally add what you do like, you’ll be able to make yourself feel at home when you notice what you love. And that’s a great way to create an inviting atmosphere for yourself. What are some things you could add to your home to create an inviting atmosphere?